When you are feeling down and need to reflect. You go to a secret place so all negativity will deflect. Visualize a waterfall gently falling. Immerse yourself in a silence that is calling. The spirit and material world combine. Noise and vexatious spirits disappear. You are in an invisible world that knows no fear. The waterfall is as gentle as silence. 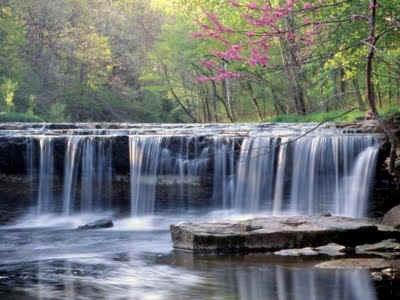 The waterfall connects you to the divine presence. You are one with God and God is one with you. The peace and silence makes all things new. The cascading waterfall evokes much imagery. This is an alternate reality. Embrace the gentleness of silence in prayer. You will soon discover that God is real and does care. With your spirit renewed the cacophony will cease.